I never had to take the bus in grade school as we lived just two blocks from the school. Suburbia! But the school bus did always seem like it might be kind of scary for little kids to ride: especially for kindergartners, many of whom are just learning to handle being separated from their moms for the first time in their lives. Scary! 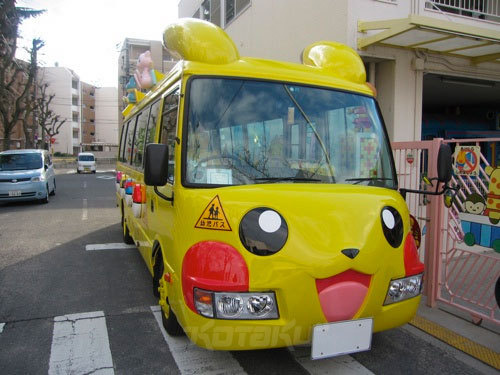 A school district in Osaka, Japan solved this separation anxiety problem by customizing the traditional yellow school bus to resemble a cheerful Pikachu – the most popular of all the Pokemon! 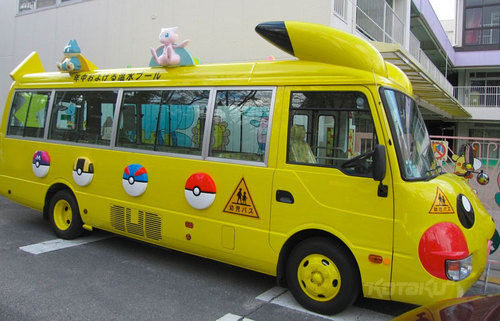 Who wouldn’t like to ride this bus? School is fun! Thanks to Neatorama Dot Com For The Tip!